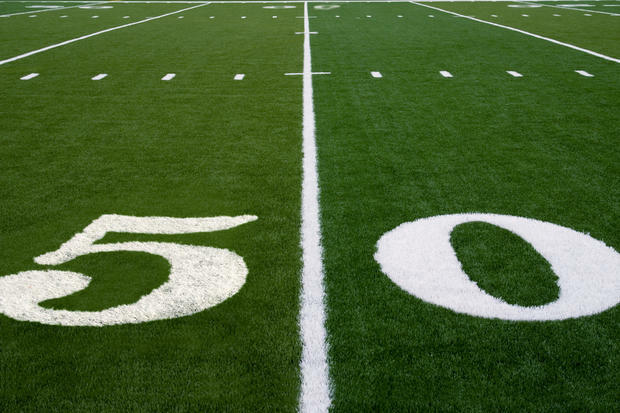 In just a few days, the annual data-fest that is commonly known as Super Bowl 50 will begin when the Carolina Panthers take on the Denver Broncos here in San Francisco. Far be it for me to pick a winner (if I must, the Panthers), but this year’s game will feature some exciting wearable technology for the first time. Since 2013, the National Football League (NFL) has partnered with Zebra Technologies to roll out radio frequency identification, or RFID, technology to track NFL players during games. The 2015 season saw widespread use in every game and this year we’ll see it adopted in the Super Bowl. Zebra has outfitted each player with a tiny RFID sensor on each shoulder pad and placed 20 receivers around the stadium to collect data on how each player moves. They’ll be tracking metrics, such as acceleration, velocity, direction and distance traveled, in near real-time. Zebra Technologies was co-founded in 1969 by Gary Cless and Ed Kaplan, and was initially known as Data Specialties Corporation. Early on the company manufactured high-speed electromechanical products to track inventory, but in the early 1980s, it began the development of the first barcode printers. In 1986, they changed the company name to Zebra Technologies (Oh, now I get it. Black and white stripes!). In 2004, they expanded into RFID label printing. I don’t know about you, but it blows my mind that inventory asset tracking technology has been adapted for the sports market. No jokes about Peyton Manning being similar to widgets or wing-nuts please! So how does the RFID tracking actually work? As I mentioned, a pair of RFID tags track the player within six inches. Referees and the first-down markers along the sidelines are also equipped with the coin-sized beacons, leaving the balls as the only untracked entity on the field…I bet Tom Brady wished the balls were tracked! Virtually an unlimited variety of relevant distance data in real time. Zebra estimates that 2-3 gigs of information are generated per game and stored in the cloud, but only a small amount is made available to custom applications. The NFL hopes that all of this new data will improve the immersive experience of the game, but there’s an elephant in the room. How will the availability of such powerful data change the nature of the game? At the moment, the NFL controls all of the data. Commentators will have access during games, as will the betting and analytics firm Sportradar. So will the league’s Windows 10 and Xbox One apps via a feature called Next Gen Replay, which allows users to track each player’s speed and trajectory on a virtual field with live footage from the real game. Once the information is retrieved and stored by the NFL, Microsoft gathers and displays the data to fans in the form of next-generation stats. According to the New Yorker though, one group of individuals who could undoubtedly use the stats don’t have access. Coaches are shut out. Once a player exits the locker room on game day, the dynamic point cloud that is generated by his movement through space is a corporately owned data set as outlined in the league’s 2011 collective-bargaining agreement. However, just being able to capture data provides enormous implications for the game. What would happen if rival teams got access to the NFL data? Arguably, this could be a catastrophe for the integrity of the game. And what about the “Concussion Crisis”? Could the system be used to calculate how hard a player is hit and would the data be used to help or hinder concussion research? Then there’s sports betting. Sports betting is always a topic when it comes to NFL football. Will we eventually see wagering on the new stats the at sports books? “I’ll take 12-1 that Brady runs faster than 4 mph.” Will this information leak into fantasy games too? For now, we just don’t have the answers. According to Zebra, they are continually expanding the potential uses for the technology. For example, they’ve rolled out a solution that NFL teams can use during practice to monitor athlete performance, and they have been in discussions with NASCAR to outfit pit crews with sensors. They’ve even trialed a solution with ski resorts where the data generated by scanning ski passes provide skiers with personal stats and even sends them photographs from the slopes. 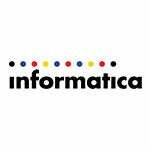 There is no doubt that the future is bright for this technology and it isn’t bucking a trend—and this is a trend that Informatica is clearly a part of. The IoT, Cloud, wearables and real-time are all white hot topics. In addition, the three V’s of big data—volume, velocity and variety—continue to expand. We must also not forget that data security is paramount, and innovations such as Secure@Source and Live Data Map are crucial to a complete data management strategy. Finally we mustn’t forget that new analytics tools must easily provide data that not only provides quick access to data, but also deliver the right data to deepen the customer, partner and fan experiences. So as you settle down to watch Super Bowl 50 and delight in the beauty of the game, take a minute to realize that this year probably marks a turning point. I for one think that this year will mark one of the most “connected” Super Bowls and the resulting data explosion will fundamentally change the way football is managed, played and promoted.